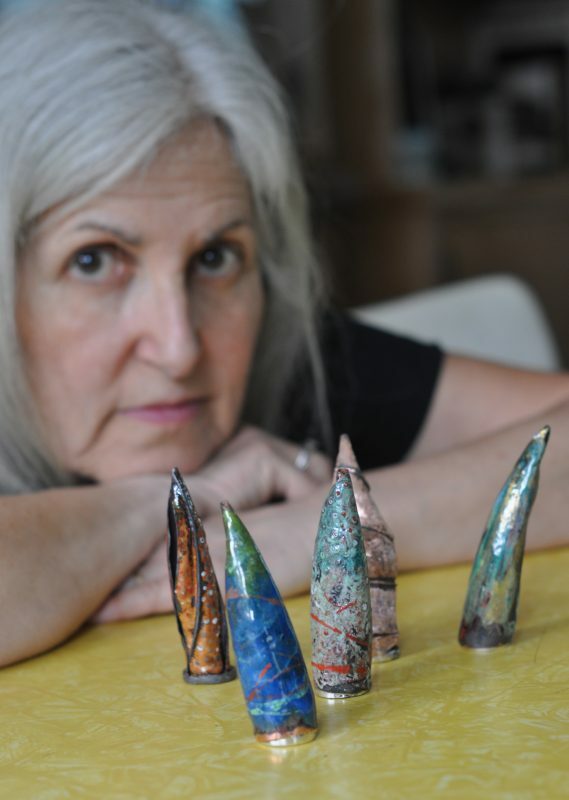 We are excited to announce MBMAG’s upcoming workshop: Evelyn Markasky with a 2-day class, Enameling Lab: Sharing an Obsession. The workshop will be held at Creator Haven in Watsonville and the cost will be $180 plus a $40 kit fee to be paid in class. 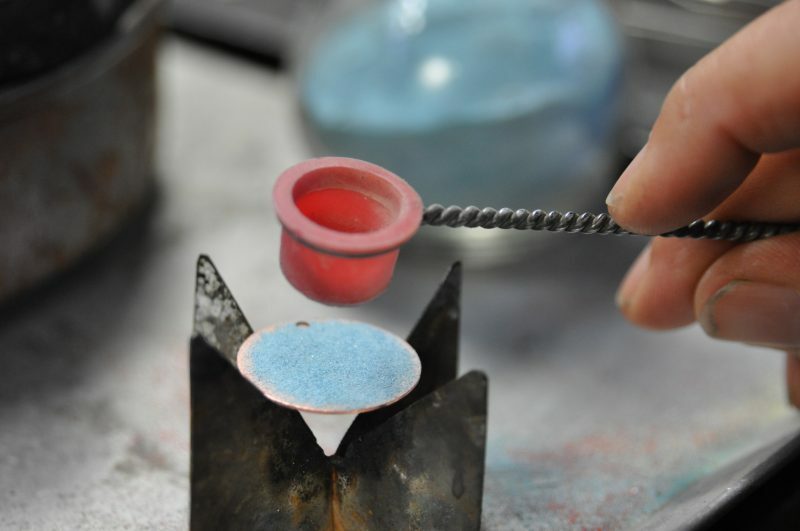 Experimenting with different enameling techniques and processes will be the emphasis of this class, having the opportunity to fuse enamel onto copper with both a hand-held torch and the kiln. Alter metal with color and texture using sifted and liquid enamels. Specific techniques include sgraffito, stencils, graphite, foils, how to add images with iron oxide decals, plus some other rather unconventional materials. 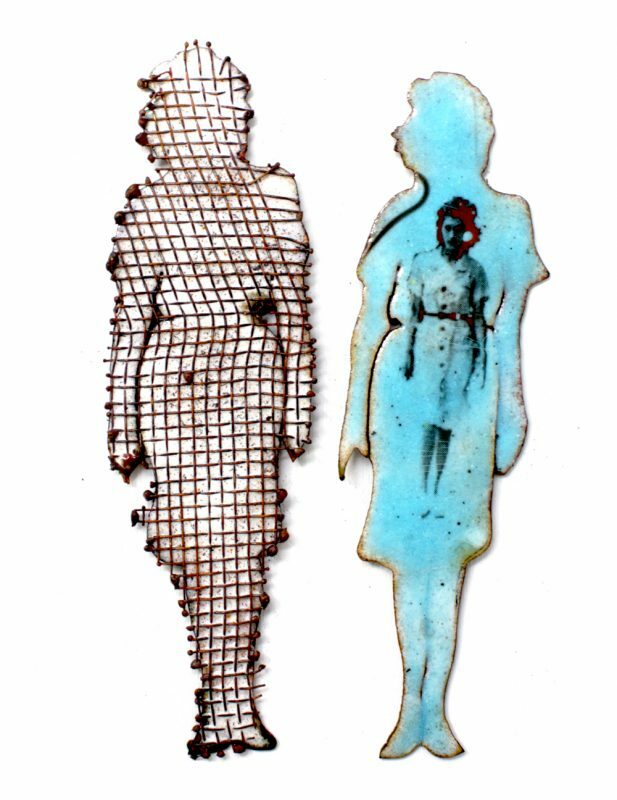 Whether you are new to enameling or more experienced, you will learn ways to push the limits of your artistic thinking. Registration will open at 10:00 am on May 18. We expect this to be a quick sell out, so mark your calendars. You must be a member of MBMAG to enroll in this workshop. Not a member? Join today!